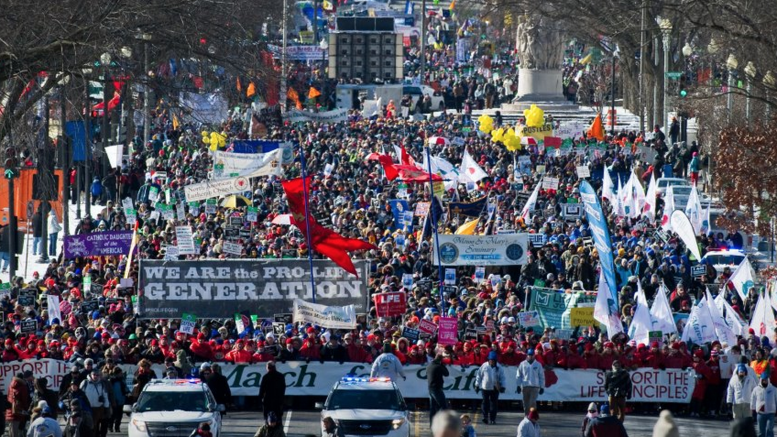 The 44th Annual March For Life is expected to get underway shortly in Washington, DC. The largest annual pro-life event in the country, the March is expected to draw hundreds of thousands of attendees. The March will open with the March for Life Rally on the grounds of the National Mall, after which the actual March will begin. Vice President Mike Pence is expected to address the crowd at around 12:20 PM. The Trump Administration confirmed yesterday that both Pence and senior Trump adviser Kellyanne Conway would be attending the March. Other confirmed March for Life speakers include Senator Joni Ernst, Representative Mia Love, NFL star tight end Benjamin Watson and former Planned Parenthood Director Abby Johnson. Cardinal Timothy Dolan and Bishop Vincent Mathews Jr. will also address the marchers at the rally. After eight years of the pro-choice Obama Administration in the White House, pro-lifers at the March are understandably optimistic about the possibility of political gains under the Trump Administration. Jeanne Mancini, the President of March for Life, said this March feels different to past marches during President Obama’s time in office. “We’ve seen one executive order after the other [from the Obama Administration] really not protecting the inherent dignity of the human person from conception to natural death. It’s a breath of relief, a breath fresh air, for us to now have people who are wanting to forward pro-life policies,” Mancini told USA TODAY this week. “With the administration that has promised pro-life policies being enacted there’s just a lot of hope and a lot of enthusiasm,” Mancini said. On Wednesday, Trump seemed to attack the media for not covering the March For Life. In response to a question from ABC’s David Muir about the recent women’s march, Trump brought up the March for Life.